Are you interested in applying for a credit card? Do you have bad credit? Are you worried that this could hinder your ability to obtain a credit card that suits your every want and need? If you find yourself in this position, you aren’t out of luck. Instead, there are steps you can take to get approved, even if your credit score is at the bottom end of the scale. It’s one thing to assume you have a bad credit score, but another thing entirely to know for sure. The best way to check your credit score is online, such as by visiting myFICO.com or one of the three major credit bureaus (Equifax, Experian, and TransUnion). Once you know your credit score, it’s much easier to get a clear picture of the credit card offers you’ll qualify for. Every credit card has a set of eligibility requirements. You must become familiar with these before you spend your time completing an application. There is no point in applying for a credit card that requires good or excellent credit. Sure, it may be fun to see if you can obtain an approval, but it’s unlikely. Not only are you wasting time, but completing too many applications can have a negative impact on your score (and that’s not something you need right now). So, as a general rule of thumb, stick with credit card offers designed for people with bad credit. This may not be the ideal situation, but a secured credit card has many benefits. As the name suggests, this type of card requires a security deposit equal to the credit limit. When applying for a secured credit card, make sure it reports to all three major credit bureaus. This is important because a good payment history will have a positive impact on your score, thus allowing you to apply for an unsecured offer in the future. A bad credit score is no fun. Fortunately, it’s not something you have to live with for the rest of your life. 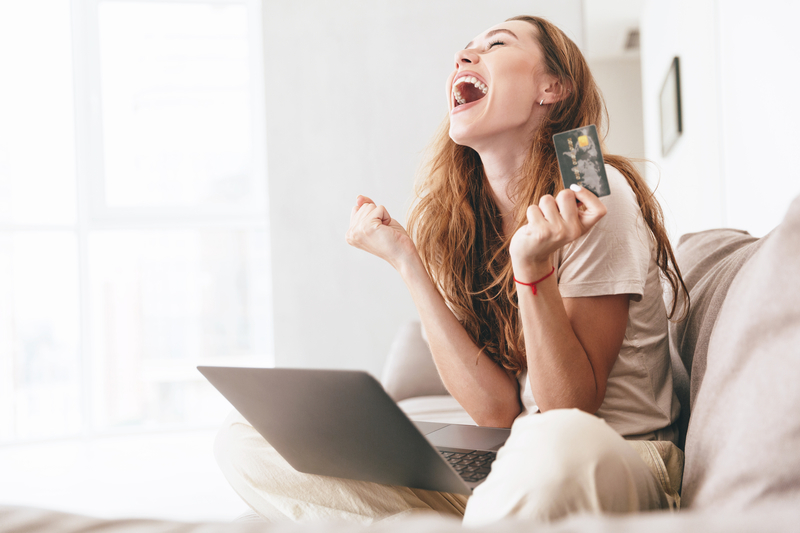 As long as you are patient enough to compare a variety of credit card offers, you should be able to find one that suits your financial situation. From there, you can use the card for the time being, waiting for the day when you can “upgrade” to a better credit card. Do you have any experience applying for a credit card with bad credit? Were you able to find exactly what you were looking for? Share your personal approach and top tips in the comment section below. Please help me get approved four a Wal-Mart credit card.